Homeowners in and around West Palm Beach, Lake Park, Boynton Beach are increasingly opting to upgrade the open areas on their property. Once these spaces have been designed and installed to perfection, it encourages you to use them with more frequency. The fact is that outdoor living is a trend that is here to stay. 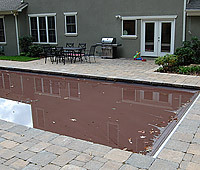 AAA Pavers has years of experience in the landscaping space and we help homeowners achieve the look they want. 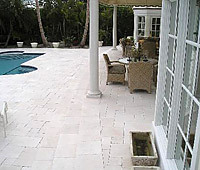 As you can see, there are a number of things that can be done to enhance the look of an outdoor kitchen. While we are designing these areas, the focus is on creating functional spaces that add value to your home and look aesthetically appealing. If you want a fireplace or fire pit added to the outdoor living space, we can provide beautiful concepts and designs; we can also design and create theme areas around these elements. The fire pits and fireplaces can be made of brick, concrete or natural stone and will be custom designed to your requirement. 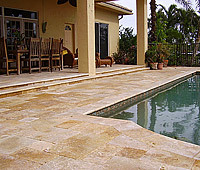 For more information about outdoor living concepts, call AAA Pavers on 561-441-8028. Speak with our experts and tell us what your requirement is- we will provide you with custom solutions that fit perfectly into your budget.